MP3 is a file format that compatible with almost all devices including PCs and smartphones. This is the main reason why people make ringtones and save music files in this format. 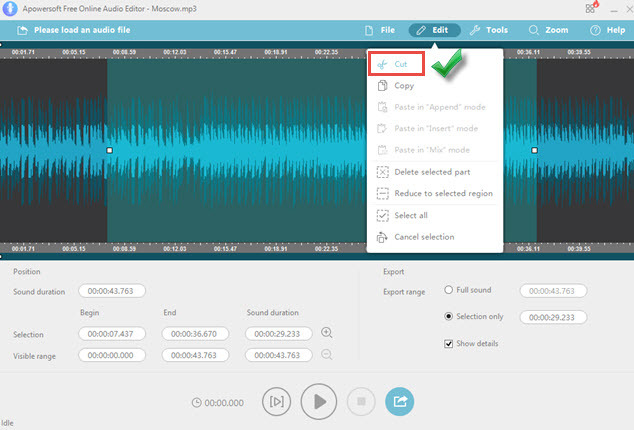 However, in the event that you want to edit or cut a particular part of the audio file, there is no tool that is pre-installed in computers or mobile phones to do that. Option is that you need to download a third party tool to cut MP3 files for you. Below is a quick list of tools which you may use to cut MP3 audio files using computers or mobile phones. Note that the tools that the writer hereby presents are totally free and will definitely help you a lot. The following are the tools which you can use to cut MP3 using your computer. Apowersoft Free Online Audio Editor is a web-based powerful tool that specially designed to help users edit any audio files. This free online MP3 cutter lets you cut and edit MP3 and other files in the most convenient way you think. With just few clicks away, you’ll be able to have an MP3 file cut. Review the following steps to clearly know how to use it. Visit the official page of this free MP3 cutter and click the “Launch Application” tab, then wait for the tool to appear. If you are a first user, then you need to download the launcher on your PC. Once it is ready, click the “Please load an audio file” button so that you may add the MP3 file that you want to cut. The MP3 will then be inserted in the interface. Select the part that you want to cut. You may just simply select in the editing board or input the start and end time in the “Selection” part. Next, click “Edit” and simply choose “Cut”. The file will then be cut and ready for saving. Just click the export icon on the lower part of the interface to save it, set the format, audio quality and the location where it will be saved. Click “Ok” and you’re done. Aside from being able to cut MP3 songs, this tool has also other editing functions which you may use in just few clicks. You may copy some parts of the audio, append, insert and mix another audio into one audio, delete or reduce selected part and more. 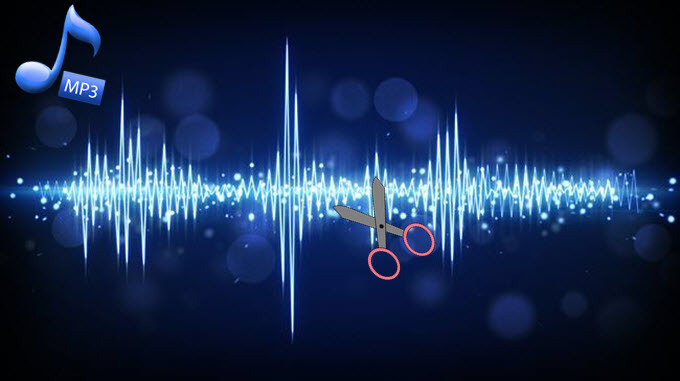 MP3 Cut is especially made for the purpose of cutting MP3 alone. 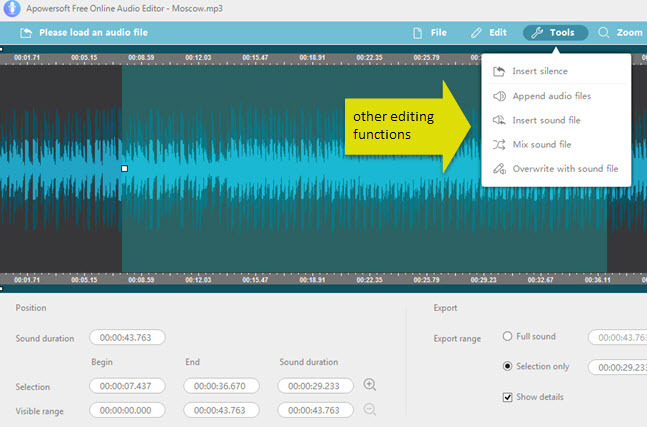 Just like the first one, this is also a free online audio editor having only one function – that is to cut an MP3 file. Moreover, this is also very easy to use that even beginners won’t have a hard time dealing with it. To use it, just simply visit MP3 Cut page and then click the “Open MP3” button to insert the MP3 file that you want to cut. Next, select the part that you want to cut and then click “Cut”. The file will then be saved on your PC. Yet the tool is very easy to use, you cannot do other editing when you decided to use this. You cannot mix, append and insert another audio file. Furthermore, this tool also saves the file into MP3 format only. So if ever you feel like saving it as M4A for your iPhone, then it will not work. There are lots of apps available to cut audio on mobile directly which you can find on Google Play Store or AppStore. Below are some of the tools which you can use. MP3 Cutter for Android is an application which you can solely use as an MP3 cutter for Android. With this tool, you may cut MP3 in your Android phone quickly and you don’t need to connect it on your computer. All you have to do is to install the app on your Android phone, open it, and then select the file that you want to edit. From there, you may play it and then click the pause button where you want to start cutting and then simply click the red button below. Play it again until you reach your end point and repeat the process. You may then save the file and decide to retain it as MP3 or as a ringtone. If there are tools to use in cutting MP3 files on Android, there also exist some tools which you can use for iPhones. One of these is the iPhone MP3 Cut tool. This can cut MP3 songs or audio file using iPhone regardless of how long it is. You may also share the cut file easily with friends. To use it, just download this tool on your iPhone, launch it and then insert the file. Next, click the “Start flag” button to set the start position and the “End flag” to set its end point. Then, click the save button and the edited file will be saved on the “List” tab. Those are the best tools that you may use in order for you to cut MP3 files on phone and computer. All of them seem to work fine but the best option that I can recommend for PC is the Apowersoft Free Online Audio Editor because you can do all the editing that you want provided the fact that it is free, fast and easy to use.